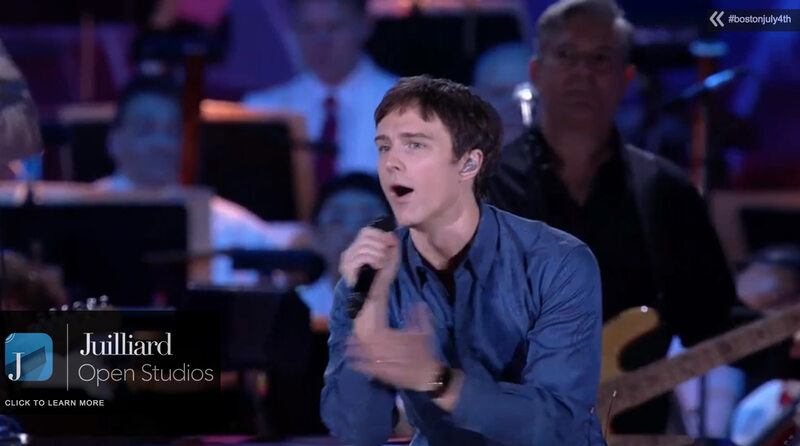 The 2.5 hour live video streamed all the music, sights & sounds of the beloved annual event enabling Americans from over 90 countries around the world to enjoy the event. 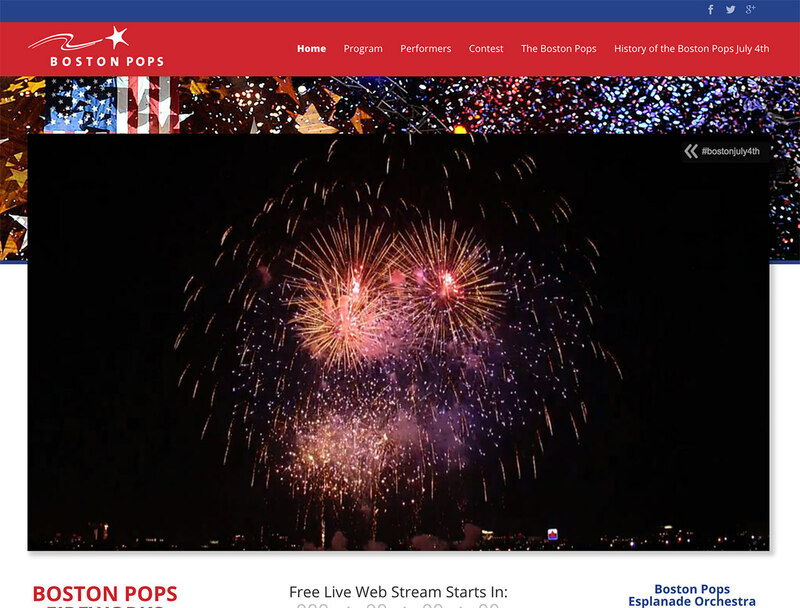 The live event aired on BostonPopsJuly4th.org followed immediately by video on demand of the event for those viewers who missed the live window. 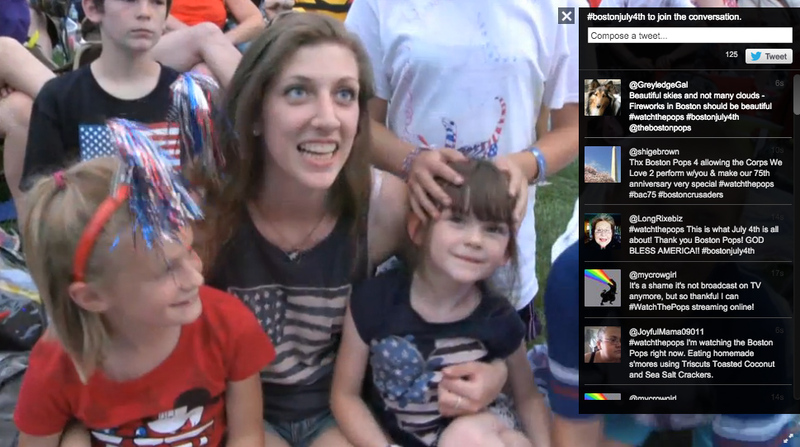 A social feed overlay captured fan's reactions from across the country participating in the #bostonjuly4th hashtag. BLive's Call-to-Action widget enabled hundreds of thousands of additional impressions for the event's sponsor. The slide out is clickable which allows viewers to check out the sponsor link and helped drive impressions and leads for the sponsor.